This is a fascinating history of the State University of New York, America's largest comprehensive university system. As such, it incorporates community colleges, colleges of technology, university colleges, research universities, medical schools, health science centers, and includes specialized campuses in fields as diverse as optometry, ceramics, horticulture, fashion, forestry, and maritime training. 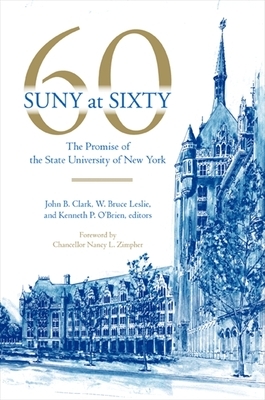 Originating in a conference held in spring 2009 to mark SUNY's 60th anniversary, the book covers the system's origins, political landscape, varied missions, the different types of institutions, international partnerships, leadership, future directions, and more. Other state systems have been studied more closely and in depth (California, Michigan, Texas), and this book is a long overdue effort to bring New York into that conversation. Edited by a past interim chancellor of the system, and two SUNY history professors, and with a foreword by current chancellor Nancy L. Zimpher, this book is essential for anyone who has a stake in public higher education in New York state, or indeed, public higher education anywhere.